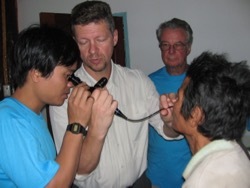 An Alaskan team of MariaElisa Jackson, Alex and Emily Foster, Stephen Schaffer (ENT) and Robert Arnold (Eye) join Kurdistan FBR Elle Arnoldtraveling to the AlasKaren center in Bung Klung. 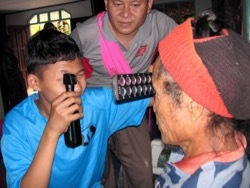 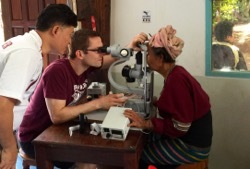 156 patients receive care for eyes, spectacles, cataract and pterygium surgery, ears, audiometry (iPad), flexible laryngoscopy and other general surgery. 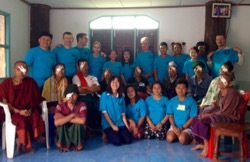 This trip generously supported by Free Burma Rangers, Alcon, Faith Christian Community, ACES and ACENT .